The key to a long lasting interior paint job is all in the preparation. At D&R Painting & construction we always start by covering any and everything that won’t be painted, we the remove any nails in the wall, fill holes, and seal any cracks. We check for mold and mildew, as well as any other signs of water damage. We then apply primer, followed by two coats of paint to the walls and ceiling. We leave your home looking like new and we won’t leave until each of our clients is 100% satisfied with our work! 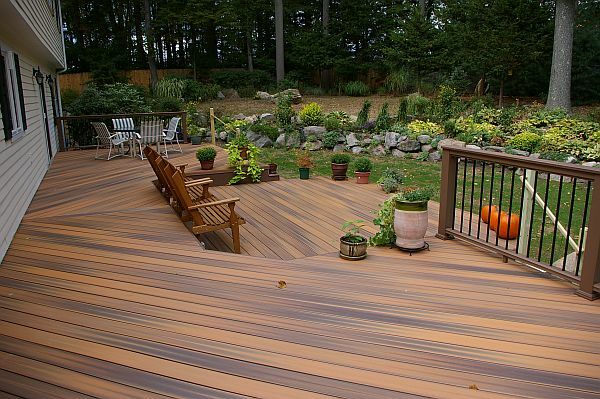 A nice stained deck is the essential finishing touch to any beautiful home. With decks being an outside addition to the home, they experience the most wear and tear and are always exposed to the elements. 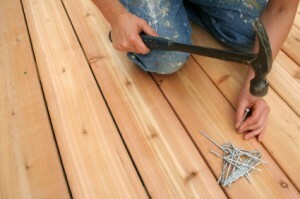 The prep work is the most important part to a long lasting beautiful deck. Pressure washing and striping is important depending on the stain. Since there is moderate traffic in this area, reinforcing certain loose areas is key to keeping good maintenance, and last is applying the stain. It is important to only stain when the wood has had time to dry completely. To avoid premature peeling, we like to leave our customers decks healthy. Therefore, no staining underneath the deck is done as this is how the wood “breathes”. Everyone loves a good cookout and we can give you a beautiful deck to grill on! Our Douglasville paint and construction company does deck repair for our customers in the greater Atlanta area. Decks are favorite gathering areas but they are also exposed to the elements 365 days a year and can develop problems that you simply can’t ignore. We’d like to pass on some tips to fix common deck problems that may seem like they need professional attention but are easily remedied by the homeowner with moderate skill and a few power tools. When you Vinings deck puts a bounce in your step when you would prefer a solid surface instead, you need stiffen it up to give you the confidence in its safety. Usually this problem occurs because of long joist spans between beams. The surefire solution is to add another beam and posts but that’s a major task. If you’re considering painting an interior in Vinings or an exterior in Smyrna or any painting project in the greater Atlanta area, it might be a good idea to take a moment and reflect on Mark Twain’s classic tale of white picket fence painting. As punishment Tom Sawyer is tasked by Aunt Polly to whitewash the fence around her home, a job Tom abhors. But Tom being Tom cons a number of friends to actually pay him for the privilege of painting a section of fence. Tom’s only concerns were having enough lime based paint and unskilled labor to slap it on so he wouldn’t have to lift a brush. At some point in time every homeowner, from Vinings and Smyrna to Roswell and Alpharetta, will experience one of life’s little annoyances that takes the form of a hole in an otherwise perfectly fine wall or ceiling. 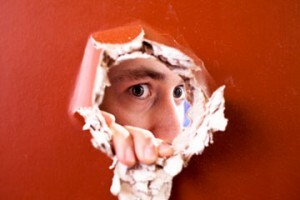 The hole won’t be very big as it likely has been caused by a doorknob slamming into the wall or a golf fanatic practicing his or her swing indoors or a kid performing his “kung foo fighter” moves. Never the less, you will need to know how to properly patch drywall. Fortunately patching a hole in wallboard isn’t all that difficult. Every “big box” home improvement store carries a wallboard patch kit that will include some variant of flimsy material with an adhesive backing. The idea is to slap it on, prep the surface and paint. Voila the hole has disappeared…but it hasn’t. The hole is simply covered up, not gone. When we take on an interior paint job it’s not all that uncommon to find damage to a wall or a ceiling. We don’t slap on a patch. We believe in restoring the wall to its original condition and that means patching the hole with a piece of wallboard that is the same depth as the wall, usually 1/2″. What Does A Good Painting Job Look Like? What’s Your Definition of a Good Paint Job? When it comes to interior or exterior house painting the term “good” is going to be defined by the homeowner’s objective. If the house is an upscale home in Smyrna or Vinings that the owner intends to live in long term, then most likely the owner will want a quality job performed that will last 8 to 10 years. Another homeowner may have a house that needs to be painted but doesn’t have the budget to afford top notch job and would settle for getting 4 to 5 years of service out of a house painting. Then there is the person looking to sell their home. 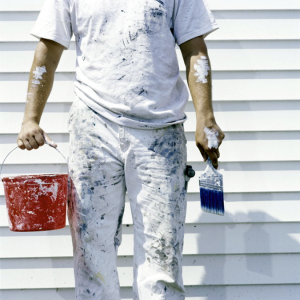 Often times this homeowner just wants a fresh coat of paint as a marketing ploy. So long as it looks good this homeowner could care less how long it will last. Not surprisingly the cost difference between these three types of “good” can be dramatic. Ironically, in many cases the most expensive price can be the best value when the project is amortized over the life of the paint’s life. So why is there such a big difference in cost? It’s not the materials. Granted there can be a $30+ difference per gallon between the lowest quality and best exterior paint but the real cost comes from how the paint is put on the house. 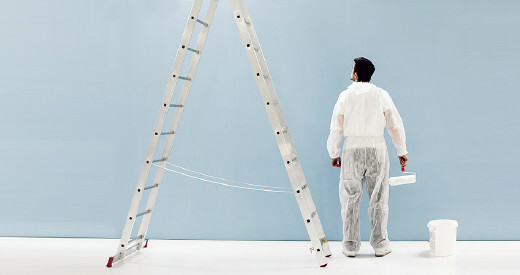 Just like paint, painters come in different levels of quality except they aren’t as easy to identify. Let’s take a look at the top-of-the-line painter who uses best practices regardless of the quality of paint involved. How does he go about performing the task? Preparing the surface to be painted is the biggest part of the project and there is only good preparation or bad. Either the paint sticks to the surface or it blisters, peels or flakes off well before its time. The preparation process is also one of the favorite labor saving shortcuts of less than professional painters. For our first blog post for 2015, we’ve decided to touch on a topic that most people struggle with: how to choose a painting contractor. Since you only paint your home once every few years, most people don’t have a go-to painting contractor that they know they can trust, and it is difficult to sift out the reputable companies that will offer you the best quality for your money from the countless fly-by-night painters that will leave you with paint that is peeling and cracking within a matter of months. So, here are some helpful tips for when you go about your search for your next painting contractor. In the greater Atlanta area homeowners and businesses can pick and choose from hundreds of painting contractors for their interior or exterior painting projects. While having a large selection of contractors sounds like a good idea, actually choosing one can become an involved process but one that is well worth the time and effort. The first thing you need to do is whittle the choices down to four or five and the fastest way to do that is to ask your neighbors and network of friends if they have any recommendations. 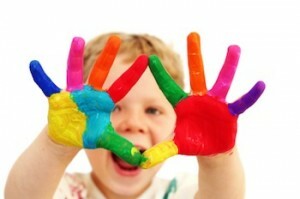 Satisfied customers are eager to pass on a name of a quality painting company. Conversely, they are quick to warn you of a painter they had a bad experience with. If your list is still short you can visit online directories to flesh it out. Review their services but don’t discount a painter strictly on location. At Douglasville based D&R we have customers from ranging from Villa Rica to Marietta and Smyrna. Do you have a Georgia business license? When can you see the house and provide a quote? It’s A New Year, And We Have A New Look! Just like the work we do to offer our customers fresh and updated painting and construction on their homes, D&R Painting and Construction got a total renovation! We have a totally new website and a brand new logo that we are very excited about. Of course, while our logo and website may be new, our company still offers the same great service that D&R Painting and Construction has been providing around Douglasville and metro Atlanta for over 12 years. In addition to our new look, we will be providing a helpful DIY blog with regularly updated posts to offer the best information possible about renovating your home! Everything from tips on hiring a contractor, to choosing the right paint and materials for the job, to helpful hints on maintaining the investments you make in home improvement will be discussed. 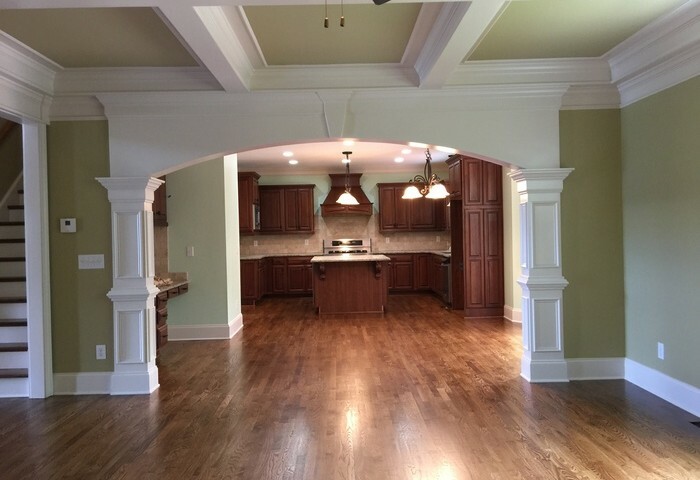 Furthermore, we will be showcasing more of our previous work in a format that will provide you with greater detail and information on what makes D&R Painting and Construction the premiere renovation company around Atlanta. We are very excited about what 2015 has in store for us, and we look forward to working with you! And of course, if you would like to request a free, no obligations quote, head on over to our Request a Quote page now!